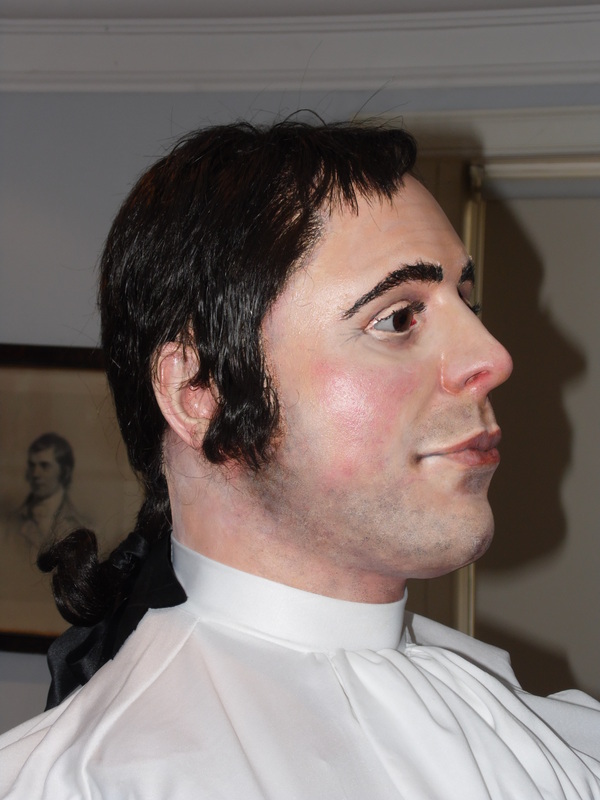 Forensic experts at the University of Dundee created an accurate 3D depiction of Robert Burns’s head by using casts of his skull and contemporary portraits. I was lucky enough to look into his eyes, which seemed to look back with sentience. It was a profound experience. 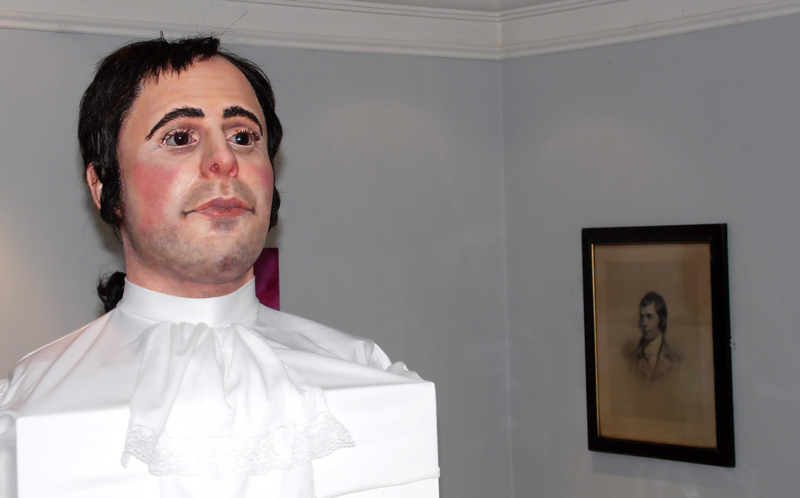 A week before Burns night in 2013 I watched a documentary that told the head’s story, from the forensic team’s painstaking reconstruction through to the unveiling ceremony in Alloway, where Burns had set his supernatural Magnum Opus Tam O’ Shanter. Scottish actor David Hayman narrated the documentary, excitement audible in his voice as he waited for the head to be revealed. Something else was present in his speech too: awe. Would Burns look like the burly ploughman history tells us he was or would his appearance have an effeminate quality, as per some of the painted portraits? Would his face convey the Scottishness of his written work? Hayman was relieved upon seeing the results. Burns’s countenance – fleshed out using facial-reconstruction technology – had the characteristic look of a man o’ the land. More farmer than fop, he was beautiful in a hardy way. As I gazed into the eyes of Burns, recognition bubbled to the surface: I know you. Perhaps the ubiquitous nature of Robert Burns in Scotland results in many Scots feeling that way. The Bard’s poems and their imagery became part of me as a child when I first experienced their magic. Standing face to face with the source of that magic, I recognised it as surely as I would my own reflection. Since my earliest memories, Burns’s words had been shaping my perception for the better. He and I share some characteristics: ancestry, culture and history; love of animals and countryside; refusal to accept hypocrisy; disdain for cruelty; an appreciation of short tartan skirts (“Weel done, Cutty-sark!”); a love of wild hochmagandy. Is it an accident that I grew up to embody many of the qualities that burned so passionately in Burns? Or did his ideas filter into the childhood me and find solace there, distilling until my soul – ever the stickler for truth – had weighed them up and invited the worthy ones to become part of my being? If I were a betting man I’d put my money on the latter. “Sounds like no’ much has changed,” mused the Bard. A tear trickled from the Bard’s left eye, catching the day’s last light. “Ah never thought much aboot the sufferin’ o’ sea creatures when Ah was tuckin’ intae them wi’ tatties and salt,” he said, his voice a breeze loaded with regret. “We will, as you say, see.” A nod to Douglas Adams from me. “Plough awa’, compatriot,” said the Bard. He stood up and offered me his right hand. I gripped it in mine. As Burns pulled me to my feet, I felt the strength of ages flow in an ancestral circuit. In that moment my roots felt deeper than those of the oak which sheltered us.